In recent years, extensive research has been conducted in the area of Service Level Agreement (SLA) for utility computing systems. An SLA is a formal contract used to guarantee that consumers’ service quality expectation can be achieved. In utility computing systems, the level of customer satisfaction is crucial, making SLAs significantly important in these environments. Fundamental issue is the management of SLAs, including SLA autonomy management or trade off among multiple Quality of Service (QoS) parameters. Many SLA languages and frameworks have been developed as solutions; however, there is no overall classification for these extensive works. Therefore, the aim of this chapter is to present a comprehensive survey of how SLAs are created, managed and used in utility computing environment. We discuss existing use cases from Grid and Cloud computing systems to identify the level of SLA realization in state-of-art systems and emerging challenges for future research. Utility computing (Yeo and Buyya 2006) delivers subscription-oriented computing services on demand similar to other utilities such as water, electricity, gas, and telephony. With this new service model, users no longer have to invest heavily on or maintain their own computing infrastructures, and they are not constrained to any specific computing service provider. Instead, they can outsource jobs to service providers and just pay for what they use. Utility computing has been increasingly adopted in many fields including science, engineering, and business (Youseff et. al. 2008). 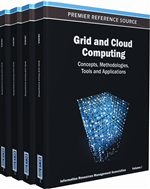 Grid, Cloud, and Service-oriented computing are some of the paradigms that have made delivery of computing as a utility. In these computing systems, different Quality of Service (QoS) parameters have to be guaranteed to satisfy user’s request. A Service Level Agreement (SLA) is used as a formal contract between service provider and consumer to ensure service quality (Buco et. al. 2004). Figure 1 shows typical utility computing system architecture: User/Broker, SLA Management, Service Request Examiner, and Resource/Service Provider. User or Broker submits its requests via applications to the utility computing system, which includes bottom three layers. Service Request Examiner is responsible for Admission Control. SLA Management layer manages Resource Allocation. Resource or Service Provider offers resources or services. Enhanced customer satisfaction level: A clearly and concisely defined SLA increases the customer satisfaction level, as it helps providers to focus on the customer requirements and ensures that the effort is put on the right direction. Improved Service Quality: Each item in an SLA corresponds to a Key Performance Indicator (KPI) that specifies the customer service within an internal organisation. Improved relationship between two parties: A clear SLA indicates the reward and penalty policies of a service provision. The consumer can monitor services according to Service Level Objectives (SLO) specified in the SLA. Moreover, the precise contract helps parties to resolve conflicts more easily. A clearly defined lifecycle is essential for effective realisation of an SLA. Ron, S. et. al. (2001) define SLA lifecycle in three high level phases, which are the creation phase, operation phase, and removal phase. Sun Microsystems Internet Data Center Group (2002) defines a practical SLA lifecycle in six steps, which are ‘discover service providers’, ‘define SLA’, ‘establish agreement’, ‘monitor SLA violation’, ‘terminate SLA’, and ‘enforce penalties for violation’.